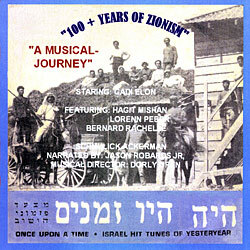 Notes “100+ Years of Zionism: A Musical Journey” is a trip down memory lane. Take a musical journey through the first 100 years of modern day. Experience the lives, feelings and emotions of those who lived through these volatile and frequently dangerous times and emerged with their spirits stronger and more determined than ever while they built a nation.